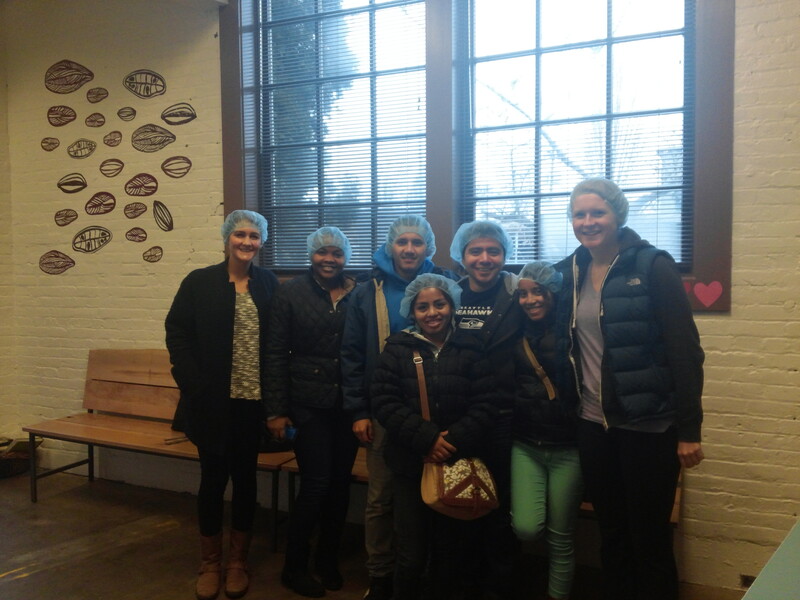 Back in January, the NPH leadership students and the two cultural partner interns, Katie (me) and Sinclair, went to the Theo Chocolate Factory in Fremont to take a tour and learn how Theo makes their fair trade chocolate. When we got there, we were asked to put on hairnets that we all looked quite stunning in, and then we spent the first half hour of the hour long tour learning about where Theo sources their cacao beans and the process that goes into making organic, fair trade chocolate. Theo keeps its chocolate bar recipes very simple, which was great news for me because I realized that I could practically make chocolate at home (with the addition of some heavy machinery, but I wasn’t thinking that far ahead). We also were lucky enough to sample several flavors and types of chocolate bars Theo makes, promptly putting us all into a happy chocolate/sugar-induced state. After our lesson, we got to tour the factory and see all the massive machines that help make the delicious final product: the chocolate bar. Unfortunately, because we were there on a Sunday, we were unable to actually see the machines at work, but we still walked away knowing much more about the chocolate making process than any of us had known before. We also saw the kitchen where trained confectioners make things like truffles and caramels, and we once again were treated to samples. 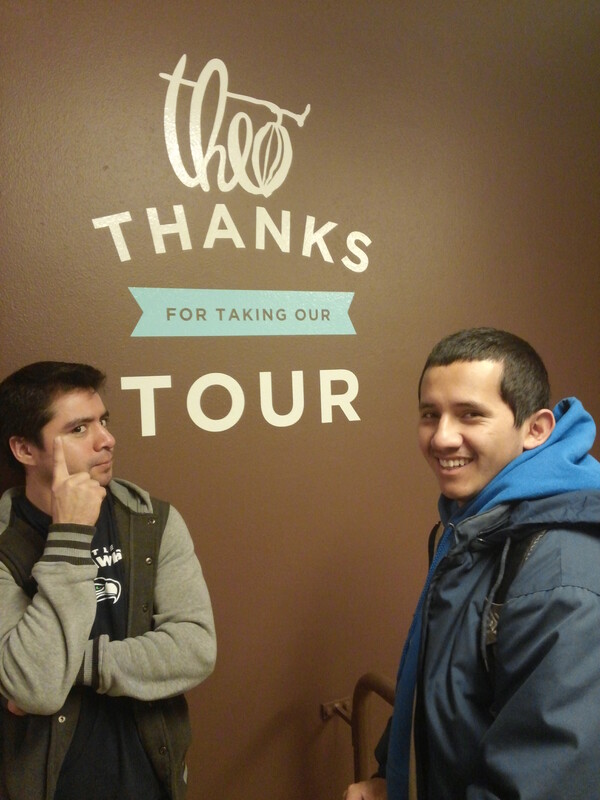 After viewing the kitchen and learning more about what goes on in there, the tour was over and we went to the Theo gift shop, where there was more chocolate than anyone could ever dream of. We all had a great time and left with bellies full of delicious chocolate, so I know any one of us would be happy to go back for another tour! This entry was posted in NPHI by speedk. Bookmark the permalink.